Do you love the combination of chocolate and coconut? 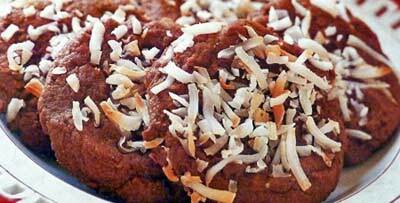 Here are some of our favorite winning recpes for chocolate coconut cookies. One is for the more adventurous because it involves shredding your own coconut - we haven't tried this with store-bought shredded coconut, but we'll bet it's still delicious. 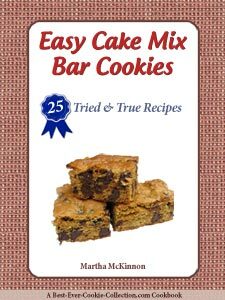 Plus, we have a recipe that is extra easy because it begins with packaged chocolate cake mix - what could be easier? You really can't go wrong with any of these cookies - especially if you have a fondness for chocolate with your coconut. Spread shredded coconut on nonstick baking sheet in an even, thin layer. Toast coconut in preheated oven for 22 to 24 minutes until very lightly golden brown. Remove from oven and transfer coconut to room temperature baking sheet (to prevent further toasting). Allow coconut to cool to room temperature. Heat 1 inch water in bottom of double boiler over medium heat. Place unsweetened chocolate pieces in top half and stir with rubber spatula until chocolate is completely melted and smooth, about 3 minutes. Transfer to small bowl and set aside. In a large mixing bowl, cream together butter and sugar with an electric mixer on medium until soft, about 2 minutes. Scrape down sides of bowl as needed and continue beating on high for 4 minutes until smooth. Add eggs and beat on medium for 2 minutes. Add melted chocolate and beat on medium for 30 seconds until incorporated. With mixer on low, gradually add sifted dry mixture until thoroughly combined. Drop heaping tablespoons of dough onto baking sheet spaced about 2 inches apart. Place 1 level tablespoon of toasted coconut on each cookie dough portion. Using fingers, press down each dough portion to about 3/4-inch thickness. Bake until the cookies are just set, about 10 minutes. Remove from the oven and let cool on sheets for 1 minute and then transfer cookies to racks to cool completely. Store cookies in tightly sealed airtight container. This cookie recipe makes about 4 dozen Chocolate Coconut Drops. Delicious chocolate cookies made extra special with the addition of coconut and macadamia nuts. Position an oven rack in the center and preheat oven to 350F degrees. Line your baking sheets with parchment paper or use ungreased baking sheets. In a large mixing bowl, beat together butter, sugar, eggs and vanilla with an electric mixer on medium until light, about 5 minutes. In another bowl, whisk together the flour, cocoa, baking powder, baking soda and salt. Slowly beat the dry flour mixture into the butter mixture until well blended. Stir in macadamia nuts and shredded coconut until distributed throughout dough. Drop teaspoonfuls of dough onto baking sheet, spaced about 2 inches apart. Bake one cookie sheet at a time in the center of oven, until cookies are just set, about 8 to 10 minutes. Remove from oven and let cookies cool on sheet for 1 to 2 minutes before transferring with spatula to wire racks to cool completely. Repeat with remaining dough, being sure to allow cookie sheets to cool completely before reusing. (I like to run the backsides under cool water to speed up the cooling process). This cookie recipe makes about 30 Chocolate Coconut Delights. With their perfect ratio of chocolate and coconut, these cake mix cookies are easy to make and hard to resist. 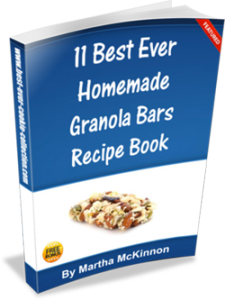 Whip up a quick batch and see how fast they disappear! Position an oven rack in the center and preheat oven to 375F degrees. Line your baking sheets with parchment paper or lightly grease with nonstick cooking spray. 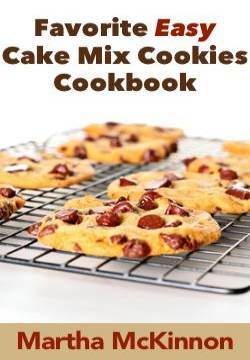 In a large mixing bowl, beat together chocolate cake mix, oats, eggs, melted butter and almond extract with an electric mixer on medium speed for 1 to 2 minutes, or until blended. Stir in coconut and chocolate chips until well distributed throughout dough. Drop by tablespoonfuls of dough onto prepared baking sheet, about 2 inches apart. Bake one cookie sheet at a time in the center of oven, until cookies are set, about 9 to 12 minutes. Remove from oven and let cool on sheet for 2 minutes and then transfer cookies with spatula to wire racks to cool completely. Repeat with remaining dough, being sure to allow cookie sheets to cool completely before dropping cookie dough. This cookie recipe makes about 48 Double Chocolate Coconut Cake Mix Cookies.